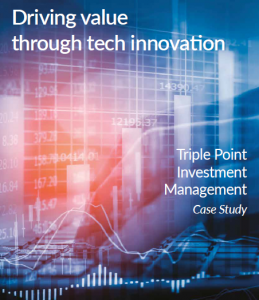 Triple Point Investment Management is an innovative investment management company offering strategies across a hugely varied range of sectors and asset classes. It aims to deliver not just financial return but real value to investors. The company launched a new real estate investment fund on the London Stock Exchange back in August 2017. Since then, the company has gone through two further rounds of fundraising. Triple Point Partner and General Counsel, Justin Hubble, saw that when working on the first two Prospectuses, there were a lot of inefficiencies in the process. He opted to introduce Scribestar to streamline the drafting of the latest Prospectus, and drive business efficiencies using the latest technologies. As a result, the Triple Point team quickly found that this was a tool that would allow them to collaborate on one, evolving online document – completely eliminating version control issues. Advantage benefits were derived from the ease of making and reviewing new edits, and the automated typesetting feature which reflowed amendments, and kept the document in-line with London Stock Exchange requirements. PreviousPrevious post:The same old problems need new ideasNextNext post:Reasonable vs Sufficient: Does it matter?